Dr. Denise P. Gibbs taught for more than 25 years as a professor in Communication Science and Disorders at the University of Montevallo before becoming the Director of the Alabama Scottish Rite Foundation Learning Centers. Dr. Gibbs is the author of RTI for Early Readers: Implementing Common Core Standards in Your K-5 RTI Model published by LRP in 2011; RTI for Middle and High School: Strategies and Structures for Literacy Success published by LRP in 2008; and Leading the Dyslexia Challenge: An Action Plan for Schoolwide Identification and Intervention published by LRP in 2004. Dr. Gibbs has been appointed by the Alabama State Board of Education to the Dyslexia Advisory Council and works with leaders at the Alabama Department of Education in the development and continual updating of the Alabama Dyslexia Resource Guide. Through the philanthropy of the Alabama Scottish Rite Foundation, Dr. Gibbs provides professional development webinars in the areas of dyslexia and RTI at no cost to Alabama schools. 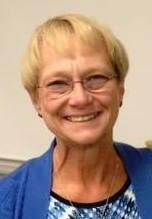 Dr. Gibbs received a BS and an MS in speech-language pathology from the University of Montevallo. She received an Ed.D. in Special Education from the University of Alabama. Students with dyslexia who read 2 or more grade levels below their enrolled grade, must have access to print materials via text-to-speech technology or applications. A Google Extension, Read and Write Chrome published by Texthelp is a very powerful and free tool for teachers and students. This tool can be used to read text aloud from websites, Google Docs, PDF files, and ePub documents. Voice typing via Google Docs is also available within Read and Write Chrome making this a powerful speech-to-text tool as well! Students with dyslexia who read 2 or more grade levels below their enrolled grade, must have access to textbooks and other published books used in ALL content classes. Bookshare is a free subscription-based service that can provide all textbooks and other needed books in a text-to-speech format.